This villa and condo complex of Palma Real is centrally located in a very lovely, low-maintenance gated community in the Palm Beach area of Aruba. it enjoys 24-hour security, 3 swimming pools, a playground for children and has a manned security gate. The entire complex is about a 10-minute walk to Palm Beach. Situated on the second level, this well kept modern condo consists of 2 bedrooms and 2 bathrooms, completely furnished, fully air-conditioned and equipped with all modern appliances. The condo has a balcony with great views of the complex and 2 of the swimming pools. The complex also offers consists of private, gated parking and a BBQ. area for family entertainment. It’s in close proximity to most of the high rise hotels and casinos. It’s in walking distance to gas stations, convenience stores, supermarkets, restaurants, shopping centers, water sports, nightlife, casinos, resorts and a local pharmacy. 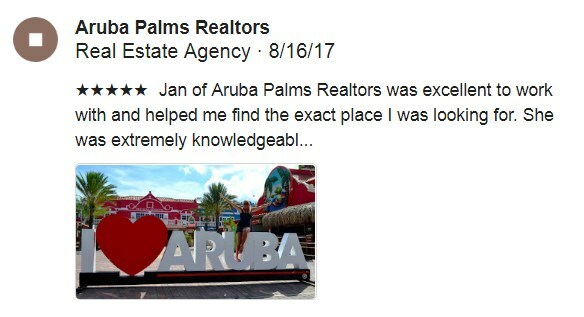 The entire complex is only a 10-minute walk or less than a 4-minute drive to the beautiful white beaches of Palm Beach, Aruba. Walk to All the Action and Palm Beach from this Gated Community! Rooi Santo 2-bedroom, 1 bath furnished condo Landslake for rent!